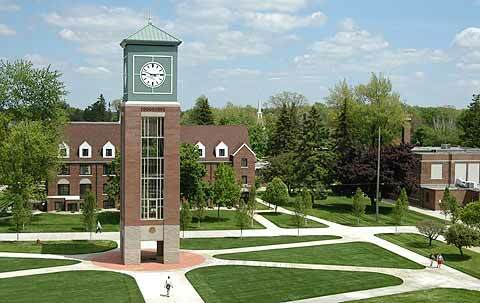 Spring Arbor University (SAU) has laid off 21 full-time staff members in the wake of a five percent budget cut due to decreased enrollment. In addition to the 21 full-time positions, several open positions will also not be refilled and some current positions have had hours reduced. Ellis said over the last five years there was a 10 percent decline in credit hours produced and a six percent reduction in SAU’s net tuition revenue. In a letter to the student body, Student Government Association (SGA) president, Benjamin Frederick, said there has been an 11 percent drop in revenue over the past three years. A lot of questions have been raised in the wake of the cutbacks and we at “The Pulse” would like to address as many as we can with what we know. 1) Why are we having cutbacks right after building things like the globe statue and new tennis courts? When people donate to the university there are multiple ways to allocate funds. Creations such as the globe and the new tennis courts came from donations specified for these constructions; essentially the donor said, “I’m giving the school X amount of dollars to build tennis courts.” In such instances it is illegal to use those funds for other purpose. 2) Are those laid off getting severance pay? Yes, those laid off are being provided with severance pay in accordance with state law and SAU policy. 3) What was considered in deciding who to lay off? Question: Why were some employees told that “today would be their last day” without any notice? People who have worked at the university for years packed up and left in one day. I’ve been told by an unofficial source that the day-of notice is written into part of SAU’s policy, however, that would be a policy I don’t have access to records of. Please write to SAU’s chief of staff, Damon Seacott, at dseacott@arbor.edu for a verified answer to that question.